We’re kicking off the 2019 market season at our favorite place, the beautiful Loring-Greenough House in Jamaica Plain! You’re not going to want to miss the 50+ women makers, artists, and entrepreneurs that will be joining us. Family friendly outdoor event. Pups (of the human and dog variety) are welcome! "I give them love and care. I get them ready for their new homes. They all have a soul and something unique about them. And they are looking for their perfect match (maybe that’s you!)." Eek! 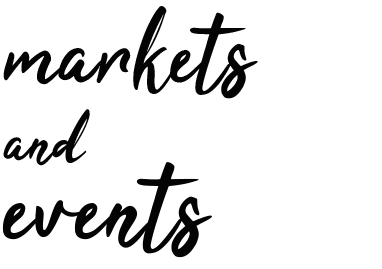 Just 8 weeks until the first Boston Women's Market of the Year! In the next few weeks we'll be introducing you to some of the ah-mazing womxn vendors who will be joining us in Jamaica Plain on June 1. Today we want you to meet first time BWM vendor, Conchi Ruiz Cabello, founder of Mariposa Vintage. Conchi believes each vintage piece has a voice and story all its own. Mariposa Vintage rescues beautiful, colorful dresses that deserve another chance. Some of them have lived exciting, vibrant lives. Others have spent decades hanging in a closet with their tags still on waiting for their time to shine. Mark your calendar and come shop Conchi's collection on June 1! You can find Mariposa Vintage at at shopmariposavintage.com and follow her journey at @mariposa.vintage. WE TELL YOUR STORIES, CREATE SELLING OPPORTUNITIES, AND PROVIDE TOOLS TO HELP YOUR SMALL BUSINESS GROW. We promote the work of and preserve a space for Womxn entrepreneurs and artists in the New England area. We foster an environment of support and innovation for our community by hosting Marketplaces throughout the Boston area, spotlighting inspirational Womxn and telling their stories, and providing tools to help Womxn-owned businesses succeed. A weekly feature on womxn who inspire, challenge, and support our community. Boston Women's Market is a place for Womxn entrepreneurs to sell, gain knowledge and build a community. Join our network to be the first to learn about vending opportunities, educational events, new tools to help grow your business, and more! It's free. Interviews with small business owners to get you inspired.